The Pennsylvania Steelhead Association congratulates Bob Hetz for his having been awarded the prestigious Ralph W. Abele Conservation Heritage Award by the Game and Fisheries Committee of the Senate of the Commonwealth of Pennsylvania on October 18, 2012. The Ralph W. Abele Award is the highest recognition awarded by the Pennsylvania Fish and Boat Commission (PFBC) to a Pennsylvania citizen who has made outstanding contributions to the conservation and enhancement of Pennsylvania's aquatic resources. In awarding this year's Ralph W. Able award to Bob Hetz, the PFBC recognizes his decades-long work with the 3-C-U Trout Club in hatching, rearing, and stocking trout and Steelhead in the Lake Erie watershed. Bob was a founding member of 3-C-U, the largest PFBC cooperative nursery in the Commonwealth of Pennsylvania. Since its founding in 1966 3-C-U has stocked over 4.5 million fish. 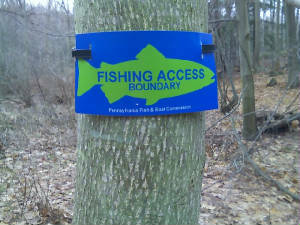 Bob's dedicated efforts have contributed significantly to making "Steelhead Alley" in Erie County, Pennsylvania one of the world's premiere Steelhead fisheries. The Pennsylvania Steelhead Association joins other appreciative anglers and sportsmen in congratulating Bob Hetz for this well-deserved recognition. The Pennsylvania Steelhead Association also appreciates Bob's having shared comments with us at our general membership meetings in September and October. At those meetings Bob shared his comments regarding current 3-C-U efforts as well as the work of 3-C-U over the years . Thanks Bob!